UHS maintains both health records and educational records, described on this page. UHS recognizes and supports patients' rights to confidential medical care. 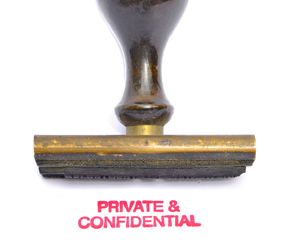 Our staff are committed to ensuring your confidentiality. All staff, both permanent and temporary, sign agreements to that effect. Our Notice of Privacy Practices (on the Michigan Medicine website) describes how health information about you may be used and disclosed and how you may access this information. To request a copy of your health records, see Health Records. On your parent's insurance billings. If UHS bills your parent's insurance for services you receive, the insurance company may notify your parent of the billings. For your confidentiality, sensitive services such as testing for sexually transmitted diseases or pregnancy are not billed to student's insurance companies while you are currently enrolled. On your U-M student account if you choose to have any UHS services billed to this account. However, the UHS charge will indicate only that you were seen at UHS, not the purpose of the visit.